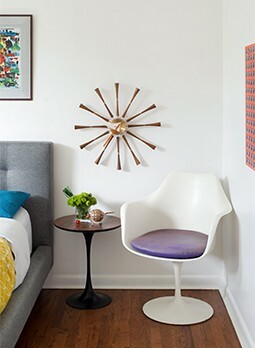 An original George Nelson “Thin Edge” Bed acts as a stylish headboard. Rosewood gives the piece a warm tone that pairs well with the desert colors used elsewhere in the room. Storage is plentiful with reading lamps stored inside eye-level cabinetry. 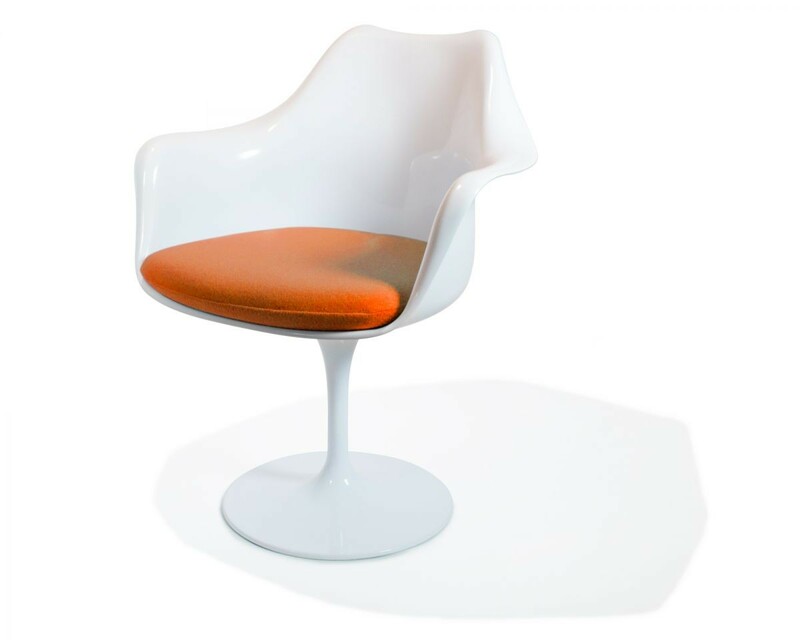 This reproduction inspired by Eero Saarinen’s design is funky and modern. 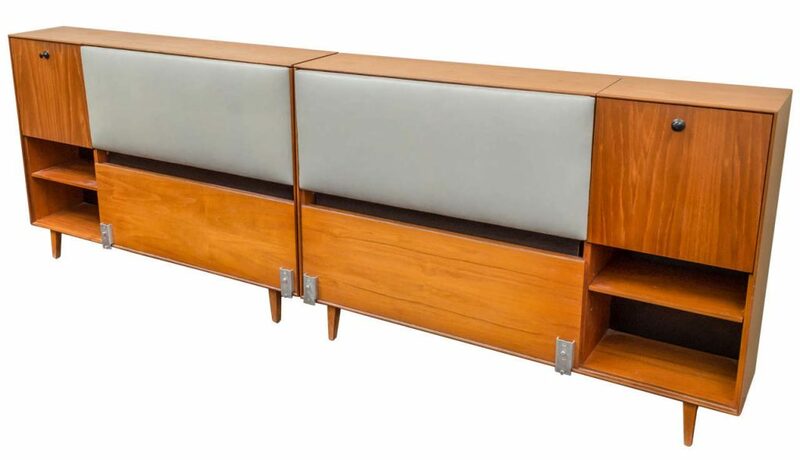 Set to the side of the bed, it balances well with the Nelson headboard. An orange cushion is reminiscent of the sandy southwestern dunes and red dirt. 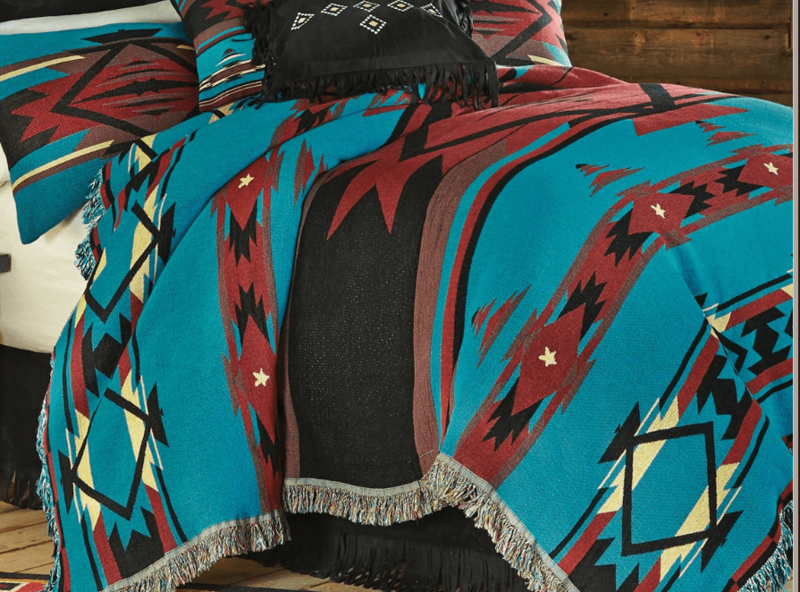 To bring the look full circle and make it undoubtedly a nod to southwest living, use a patterned coverlet in a quality fabric. Woven cotton and wool give an authentic texture that a flat comforter would not. Look to the other pieces in the room to choose colors properly.